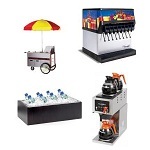 No movie theater, theme park, carnival, or county fair experience would be complete without concessions equipment and supplies. 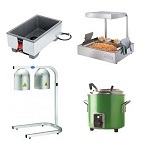 Concessions help create the overall atmosphere: the scent of popcorn, the sight of hot dogs and everything imaginable fried on a stick. 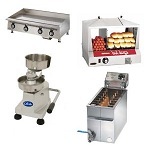 Restaurant Equipment Solutions carries everything you need when it comes to concession stand equipment and supplies. 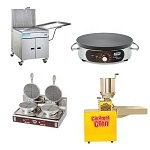 Whether you need a food warming station, frying station, or beverage service station, we've got it all. 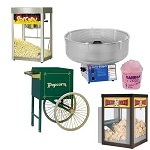 Aside from those necessities, take a look at our other concessions options, including nacho supplies, popcorn equipment, and hamburger and hot dog stands. 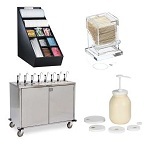 Just need a condiment supply station? 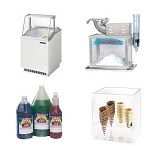 We've got that too, and all from the top brands you love.